You may know Ina Garten as the highly successful culinary and entertaining expert behind Food Network’s Barefoot Contessa. While her Pinterest-worthy dishes and desserts take center stage on the show, every now and then, Garten ensures viewers get a very special treat: an appearance by her husband of nearly 50 years, Jeffrey. The love between the two is so strong and so tangible, in fact, Ina dedicated her latest cookbook to Jeffrey, aptly titled Cooking for Jeffrey. Selling more than 400,000 copies and becoming the best-selling cookbook in 2016, the title not only features recipes inspired by her husband, but it’s also a 256-page love note to Jeffrey — giving an even deeper look into their relationship. Those who follow Ina and Jeffrey’s journey don’t need the cookbook to know they have had one of the most long-lasting, loving relationships in existence. We’ve even picked up a few relationship tips along the way. Ina and Jeffrey’s first date didn’t exactly go as planned. When Ina was visiting her brother at Dartmouth, Jeffrey spotted her and immediately asked for her address so he could write her a letter. Months later when he visited her in Connecticut in her hometown, he took Ina to a bar, but the bouncer turned them away. So they ended up at a coffee shop instead. “Decades later, I asked Jeffrey why he wanted to see me again after that mortifying first date and he said, ‘I decided you needed taking care of,'” she wrote in Cooking for Jeffrey. The lesson? Just because the first date bombed doesn’t mean it isn’t worth pursuing. Following that first date, Ina and Jeffrey went steady through their years studying at separate schools. As Ina attended Syracuse and Jeffrey attended Dartmouth, she sent him boxes of brownies and made him sweaters, and she took the bus to visit him. When Ina and Jeffrey tied the knot, she had zero experience cooking. But Jeffrey changed that. And always be each other’s anchor. As Ina and Jeffrey pursued different interests, they were always each other’s No. 1 cheerleader. Just one year after getting married, Jeffrey wasn’t afraid to tell Ina exactly what she needed to hear — something that would stop her short. 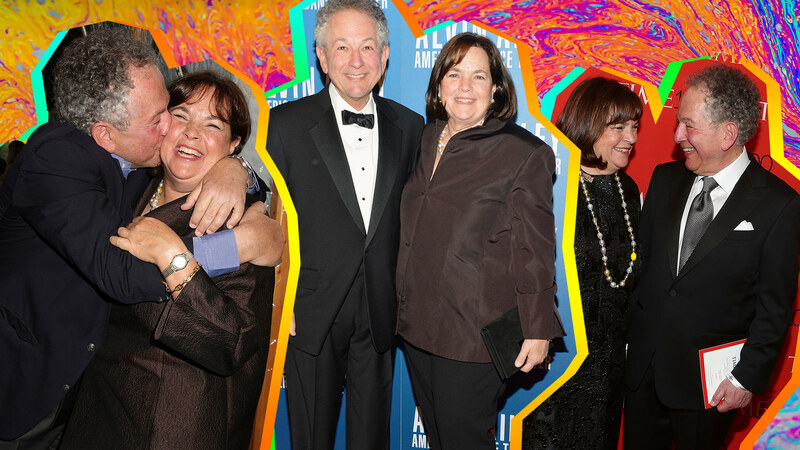 Thanks to the blunt honesty on Jeffrey’s part, Ina had the motivation to pursue her passion for cooking and manage Barefoot Contessa, which, at the time, was a specialty food store in the Hamptons. Sure, we learned from Ina and Jeffrey that freedom in a relationship is crucial, but so is making it very clear you’re willing to spend quality time together. Ina and Jeffrey are always in contact with each other when they’re out living their own individual lives. #tbt How glad are we that it's finally summer??!! Follow me on Instagram @inagarten ! Last year, Ina and Jeffrey opened up on Katie Couric’s podcast about why they never had children. “It’s a choice, and that was the choice I made,” Ina said. “I really appreciate that other people do [have children], and we will always have friends that have children that we are close to, but it was a choice I made very early.” And it was a decision Ina never felt judged over. Congratulations, Ina and Jeffrey, on your almost 50 years of marriage — and for teaching us all a few things along the way.